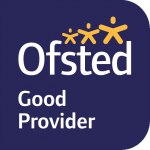 Ofsted rated us a Good school in 2016. We would love to receive your views on how we are doing now. You can fill in the Parentview survey by clicking here. Our nursery school ethos can be found on the About Us page. Details of our teaching and learning can be found by clicking here.